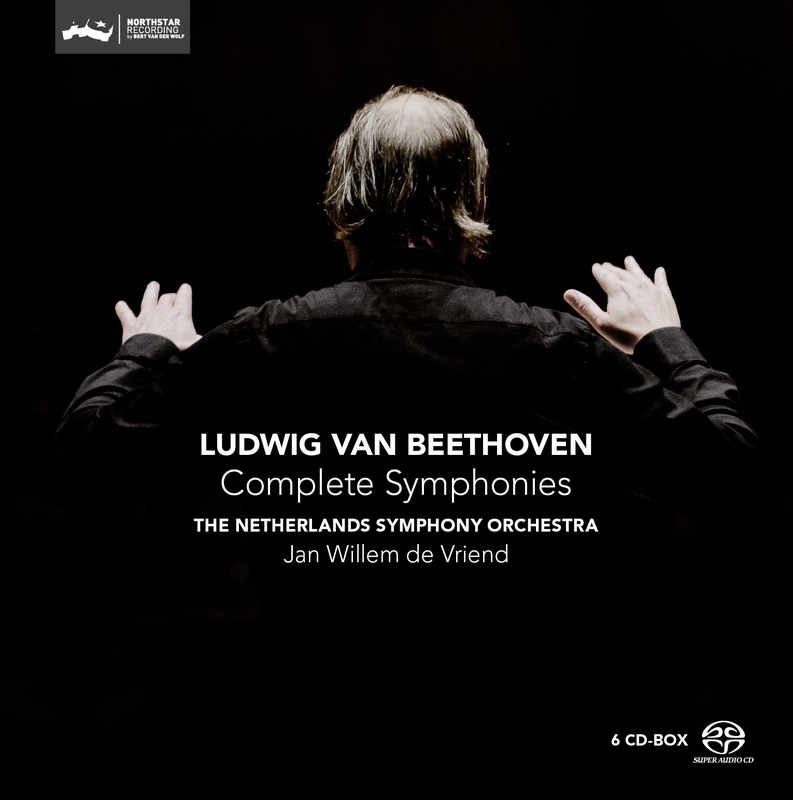 Over the past few years, Jan Willem de Vriend and The Netherlands Symphony Orchestra have made CD recordings of all the symphonies of Ludwig van Beethoven. This box contains them all. At an international level, Jan Willem de Vriend is more and more regarded as an outstanding conductor with a new, fresh point of view. As is his vision of Beethoven. Important classical magazines like Gramophone are enthusiastic about the series: "These are strong, thrustful performances which make sense in terms of the music in hand and the orchestra;s own character and competence. Is this set comprised of the original discs in separate cases in a cardboard sleeve or has it been repackaged in a slimline box? Were these Beethoven symphonies recorded direct to DSD? If not, what was the sample rate of the PCM recordings? Thank you. 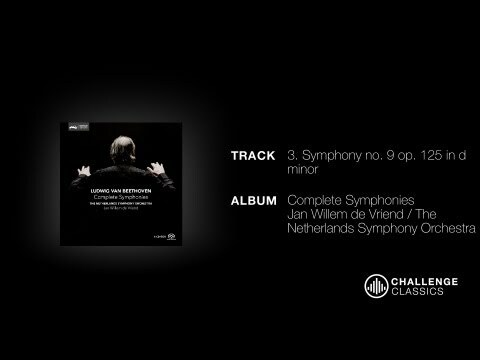 The Ninth Symphony (vol.5) will be out in April 2012 and the box with all the symphonies in May 2012 in the USA. We will gladly keep the good music coming! Thanks for your question. "A Beethoven-interpretation, so modern but also timeless, it is somewhere between a hysterical tightrope and deep felt intensity and emotion - which seeks its equal!" ""The Eighth is never livelier interpreted then in this box"
Jan van Laar - Elsevier - February 2012"